You are currently browsing the category archive for the ‘January Cleanse’ category. And… if you have not yet registered or chosen a level, tomorrow is your last day to do so! E-mail us at info@sparkyourwellness.com to get registered. Time is running out! January Cleanse: Informational Call This Evening! Our three-level group detox is beginning just twelve short days from now, and our informational call to answer your questions is taking place TONIGHT! When prompted, enter your “Participant Access Code,” 403732, followed by the # key. Looking forward to having you then! Questions about what to expect for our upcoming January Cleanse with ChoosingRaw.com have been pouring in! See below for some more recently asked questions, in addition to the previously-listed FAQs and their answers. For those of you that will be joining us for the cleanse, these questions and answers will help you to establish your frame of mind as you begin preparing for your cleanse. If you have not yet committed to the cleanse, look to these FAQs as a source of information, and please free to contact us with any further questions. Q: Must I use only organic foods and products as part of this cleanse? Answer from Spark! : In an ideal world, everything would be organic and all-natural, and hormone and pesticide-free products would be available at a reasonable cost, or consumers would not have any issue with making an investment in their health in buying the best, most whole and nourishing products at a premium price. However, this is the real world, and buying all organic all the time can prove to be pricey, especially since conventional produce is often so much more wallet-friendly. Having said this, it should be your goal to include as much organic in your cleanse regime as possible; eating non-organic, however, will still allow you to reap the numerous benefits of the cleanse. During the cleanse, the instructional and support materials provided to cleansers will advise on the produce and other products that must critically be bought organic, and those for which the organic label does not matter as much. This will be your guide to buying smart so that you can reap the most benefits of the cleanse while making minimum impact on your wallet. 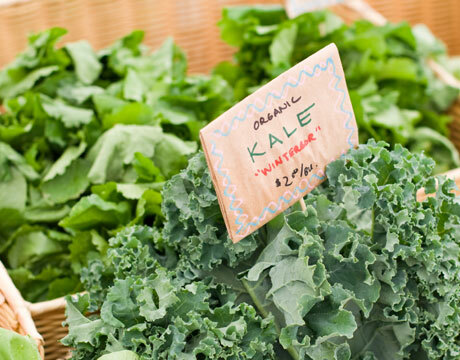 Q: How and where can I procure organic, natural produce inexpensively? Answer from Spark! : There are ways to buy organic without burning a huge hole in your wallet. If you live in New York City or in any major city, there are usually co-ops where you can buy an annual membership and have access to abundant all-natural and organic products at a reasonable cost. Also, for city dwellers and in certain suburbs, if Whole Foods is too expensive for your wallet, Trader Joe’s sells organic produce, though you have to look closely and be sure to choose organic and not conventional. Another fantastic source of fresh, organic produce at a reasonable price is through Fresh Direct, which procures local, fresh products from nearby farmers and provides them to New Yorkers at a fair price, AND delivers to your doorstep. Additionally, outdoor famer’s markets, like the one in Union Square in New York, and Green City Market in Chicago, offer hard-to-find items that are grown and harvested fresh, locally, and without pesticides and hormones. Q: Is it possible to combine levels of the cleanse? For example, if I cannot decide between level 2 and level 3, may I do a combination of both levels? Answer from Spark! : The levels of the cleanse were designed by health counselors Andrea, Gena and Hadley to provide three distinct ways of cleansing depending on your past experiences with food and your choice for cleansing. Throughout the course of the 10-day cleanse, each counselor will be responsible for one group level of the cleanse, and will guide the cleanse participants in each of these levels with ongoing support and guidance based on the particular regimes for each level. For these reasons, it is best to stick with one of the levels, either 1, 2 or 3, to maximize your investment in this cleanse and reap the most benefit from the support and guidance provided by Andrea, Gena and Hadley. Q: Must I have a juicer in order to participate in the cleanse, especially level 3? Answer from Spark! : While a juicer is a great piece of equipment to have for your vegetable juicing needs, and could possibly serve you well if you continue to make juices like those provided on the sample menus, it is not necessary. A blender will do just fine. In the case where you use vegetables that might be a little hard to blend, steaming them lightly before blending is helpful. If you have it in you, you can also chop veggies into smaller pieces before blending, which makes the blending process a bit less taxing on your equipment. As more questions are asked, we will be sure to post them here.